The power of aluminum in a value-priced package! All FANTASY™ pools are 52" high. 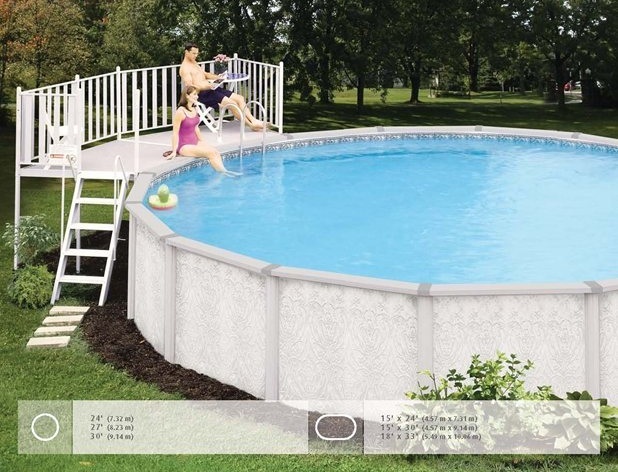 Enjoy all of the benefits aluminum has to offer- strength, rust resistance, durability and ageless looks - in a pool that integrates tried and true materials with aluminum components to deliver value. Oval FANTASYs have Delta 300 Support System which incorporates aluminum tie bars and a water plates and eliminates external buttresses. Copyright Paradis Pools 2016-2025. All Rights Reserved. Copyright Sample Wellness © 2016. All Rights Reserved.